He might be reaching a major milestone today but Riva is still the standard by which all Italian strikers are judged. In Stillness and Speed, Dennis Bergkamp’s autobiography written with David Winner, the Arsenal legend speaks about his tough time in Serie A with Inter Milan. Bergkamp had graduated from Ajax’s academy, excelled in the first team under Johan Cruyff and become one of the hottest properties in European football. In the summer of 1993 the forward had his pick of clubs, but chose Inter. By the end of his two-year stay, Bergkamp was so unhappy with football he considered retirement. The source of his discontent was essentially a culture clash. Bergkamp was a fish out of water in every sense. His introverted nature sat uneasily with his Latin teammates. While on the pitch it was as though they were playing different sports. Despite AC Milan’s success in the late eighties and early nineties, playing an attacking 4-4-2 formation with high pressing, the rest of Italian football was suffering the withdrawal symptoms from catenaccio. Inter defended deep, leaving two strikers up front and looked to get the ball forward quickly, with as few passes as possible. ‘I look back and my defenders and the other midfielders are still deep in their own half!' Bergkamp said. 'There’s a huge space between us and it's dead space! It’s killing me’. Inter's style was the antithesis of what he was used to at Ajax and the Dutch forward, despite being one of the best players of his generation, was deeply unsuited to it. ‘I need other players around me,’ he says in the book. ‘That’s when I become a good player... I need them to be moving for me.' In Italy, the forward needed to be an individualist but Bergkamp was a collaborator. What Inter needed was a striker like Gigi Riva. Luigi 'Gigi' Riva turns 70 today and was the most feared striker at the height of catenaccio's success, in the late 1960s and early 70s. A hero for Cagliari, he was the driving force behind their sole Scudetto and scored an incredible 164 goals in 315 games. Riva also remains the record goalscorer for the Italian national team, a considerable feat considering the strikers that have since graced the Azzurri. Rombo di Tuono (Thunder Clap), as he was christened by Italian writer Gianni Berra, was a powerful, prolific and technically gifted forward. John Foot, in his book Calcio: A History of Italian Football, says Riva’s shot was so powerful that Cagliari’s first-choice goalkeeper would skip training. Clocking in at 120km per hour, they were known to cause injury, even breaking one unfortunate nine-year old boy’s arm. Born in Leggiuno, a small town in the northern Italian province of Lombardy, on November 7, 1944, Riva's family were poor and he endured a tough childhood. When he was nine his father died in a factory accident and Riva would spend three years in a strict religious school. However, his football talent was spotted aged 18 by Legnano, a club in Serie C. The following year, 1963, the striker moved to Cagliari, a club in Serie B who had never previously competed in Italy’s top flight. Riva said that upon arrival on the island of Sardinia it seemed like 'where they sent people in order to punish them’. However, by the time his career was finished, the centre-forward was worshipped by the locals and the island had become his spiritual home. The crowning glory of his career was the 1969-70 season. Cagliari, rank outsiders, won their first and to-date only Scudetto, losing just twice and conceding only 11 goals in the process. It was the first time a team from south of Rome won the championship and a feat that would not be repeated until Diego Maradona led Napoli to their maiden title in 1987. 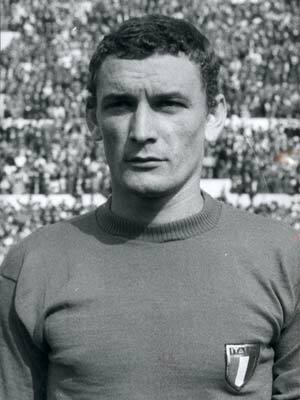 Cagliari was coached by 'the Philosopher' Manlio Scopigno and featured the Brazilian Nené, Domenghini, a brilliant right-sided midfielder, and Azzurri goalkeeper Ricky Albertosi. But the team’s star, and driving force, was Riva. Scoring 21 goals in 30 games, the striker was at times spectacular. From powerful long-range shots to overhead kicks and thumping headers, Riva’s armoury was as versatile as he was deadly. His volleying ability was unrivalled and his overhead-kick against Viacenza, in 1970, is still widely remembered among Italian football fans. Cagliari won the title with two games to spare - if ever a team's success was down to one man, Cagliari in 1970 was it. The striker was renowned for his confidence and became a celebrity figure. Local journalists covered him full-time and, according to Foot, 'Bars and bedrooms were plastered with photos of Riva, and not just in Sardinia. Numerous statues of the centre-forward were sold and placed in bars all over the island'. Despite the attention, Riva's remained focused, 'I am not an actor, writer, salesman, singer or anything else. I live only for football'. Riva would, however, taste disappointment with Italy at the 1970 World Cup in Mexico. The Azzurri reached the final, but were crushed 4-1 by the great Brazil side of Pelé, Jairzinho and Carlos Alberto. 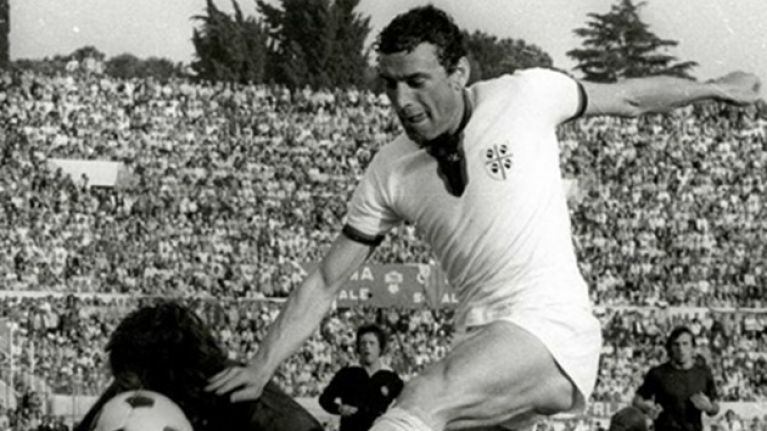 Riva scored three goals in the tournament, including one against West Germany in a classic semi-final. 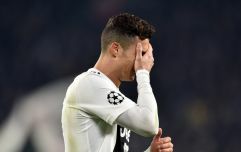 Until that game, Riva had been criticised for his performances by the Italian press, while his private life was placed under further scrutiny. Following such a spectacular club season, Riva was expected to lead Italy to glory as he had two years previously. Italy’s European Championship victory in 1968 was their first post-war international title. In Rome’s Stadio Olimpico, the Azzurri won the final replay against Yugoslavia 2-0, with Riva opening the scoring. The striker retired from international duty in 1974, having scored 35 goals in 42 games. His 40-year record remains intact, despite the careers of players such as Paulo Rossi, Roberto Baggio and Christian Vieri. Had Riva not suffered numerous injuries, including two broken legs, the record would have been undoubtedly higher. Riva as part of his role with the Azzuri. The 1969-70 season would be the pinnacle of Riva’s career. The effect the number 11 had on Sardinia goes beyond his goals for Cagliari and, it could be argued, is akin to only Maradona’s significance to Neapolitans. Sardinia, before Riva arrived, was a rural, economically backward and relatively lawless place. Cagliari’s rise, fuelled by Riva, coincided with the development of Sardinia, as the Italian state pumped much-needed capital into the island. 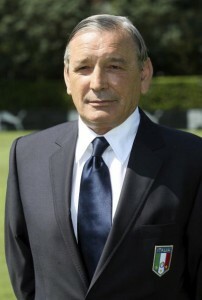 The Italian writer Stefano Boldrini even credits the striker with the island’s modernisation. Riva ‘forced shepherds to buy transistor radios so that they could follow Cagliari’. The striker's bond with Sardinians was strengthened by the numerous advances he turned down from bigger, northern clubs. In 1967, Juventus signed him, but he refused to leave so the transfer was cancelled. Riva said: ‘I would have earned triple. But Sardinia had made me a man.' The Turin club had reportedly once offered six players in exchange for the striker. Riva, however, would finish his career with Cagliari, playing his final game in 1976. Speaking about his bond with Sardinia, Riva said: ‘It was my land. In those days, they called us shepherds and bandits around Italy. I was 23 and the great Juve wanted to cover me in money. I wanted the Scudetto for my land. We did it, the bandits and shepherds.' Cagliari retired his number 11 shirt nine years ago. Riva was the greatest Italian centre-forward in the post-war era and remains the benchmark against which all Azzurri strikers will be judged. At the height of catenaccio he was the most feared forward in Serie A. Bergkamp may not have liked facing five defenders alone, but Riva thrived on it. Buon compleanno, Gigi.